Chris Demont, today’s Spotlight Employee, has been with WDS for six years. He has established himself as one of the Lead Installers in the San Antonio WDS location. He is capable of completing any of the most complicated installations, including data center components, medical office equipment, and many standard office equipment elements. He is also a Xerox Versant specialist, and the Microsoft Server expert. When WDS San Antonio has particularly difficult installation, Chris Demont is one of the most trusted installers to get the job done. Chris Demont and his consistent work ethic and commitment to quality is emblematic of the WDS slogan: “We Deliver Service”. In addition to serving our San Antonio customers, Chris Demont is the father of two children. His son, Cody, is a member of one of WDS Logistic’s favorite baseball teams, the San Antonio Angels. The San Antonio Angels won the 13u Perfect Game Super 25 and became North Texas Regional champions and won a free entry to Fort Meyers, Florida this summer! His passion is coaching, mentoring and developing young men who have a love for the game of baseball. Chris has coached this sport for the past 10 years and has learned so much from the young men he has had the privilege to coach. WDS has allowed Chris to pursue this passion by providing him with a balance of family, work and social life. Chris’ favorite thing about WDS is that in his time with the company, he has been able to create and develop professional relationships and rapport with customers, as the lead driver and trainer for contracts such as Microsoft and Xerox. 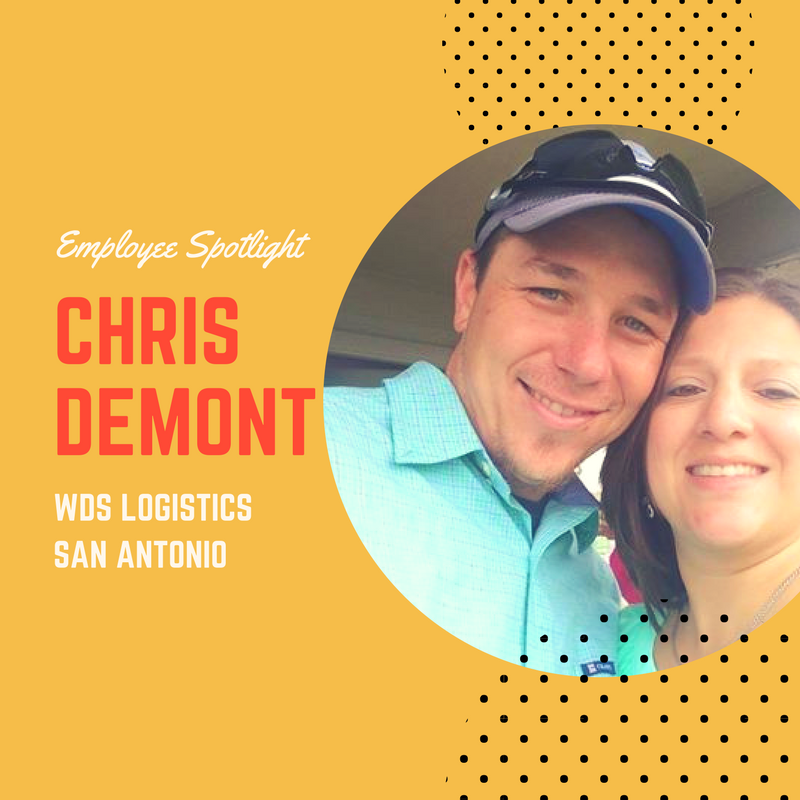 Congratulations, Chris Demont, and thank you for your service as the WDS Logistics Spotlight Employee.